H ave you read “Social Media Marketing Is A Dying Business Model” by Nikki Majewski ? The post covers a discussion at the at the 2014 National Radio Conference by Jules Lund who explains why organic social media marketing is a dying business and what he thinks it will take to succeed. We all know that Facebook has been at the forefront of instituting paid social media content by drastically reducing the reach of organic content but the writing is on the wall because most other social networks are also experimenting with paid content. The potential reach of these networks makes them places where businesses should have a presence but the bottom line is that you should never be totally dependent on outside forces over which you have no control. There are sound alternative ways to capitalize on this by using the assets within your control in conjunction with and as part of a diversified marketing plan. With social media channels bringing in a new era of pay to play and taking more control over the social media playing field this is a subject that needs to be addressed to find other avenues that can foster autonomy and provide stability and permanence in this changing virtual landscape of online marketing. Regardless of the direction that the social media marketing giants or the online industry as a whole may eventually take and change through new technology there is a way to insure consistency, autonomy, online presence, and potential reach and that is by “Marketing From Ground Zero” which starts by having a community member platform on your website that you can utilize and adapt to all prevailing winds and turn an existing company resource- your existing customer base- into advocates and influencers as an anchor for your online marketing strategy. An onsite community can be the jewel in the crown of your online marketing and act as “ground zero” to fuel your overall marketing initiatives. Unlike paid advertising that is fleeting and exits only as long as you are paying, an onsite community is an asset that endures and can provide a solid foundation to continually produce benefits to both you, your existing and potential customers. No matter what industry you are in an onsite community can create a customer centric culture and provide consistency that will resonate across all your paid, social and owned media channels. And no matter what direction social media marketing takes these communities will act as conduits to reach and attract an audience that can know and understand you and will result in increased brand perception and engagement. Communities also become data centers for learning the needs, concerns and actions of its customer base through diverse interaction creating a virtual ecosystem that feeds on itself. There are many different forms that an onsite community can take and each one can be customized to fit each businesses particular needs. In lieu of or in addition to paying professional market influencers you can create ways to make your own customers advocates and influencers by rewarding them with special discounts, offers, drawings and contests for community members along with content and a forum for communication that will keep members (customers) engaged and informed that will pay big dividends in retaining existing customers and attracting new ones for your business. With social organic reach fast becoming a distant memory as social networks and online advertisers seek to profit from their platforms not to mention the countless vendors vying for your limited resources with the next panacea that will take you to the top “ It is time to Look Within” to seek alternative ways in which to effectively reach and draw audiences to build a permanent foundation that can provide extremely cost- effective ways to control your own destiny and solidify your place for the long term in the online marketing industry. Madison Avenue is swimming in “dark pools,” and consumers are turning the lights off themselves, at least in social. Things like private Pinterest boards, Facebook messages, or the ultimate ephemeral platform -- Snapchat -- can't be overlooked. “Dark social” represents 71% of all social sharing, according to recent data form 33Across. Facebook doesn’t even let its app users message within the Facebook app -- they have to download an entirely new app. That's a clear separation of “public social” (the Facebook app) and “private social” (the messaging app). The ultimate goal, he reckons, should be using your audience as ambassadors. Now that would give interesting new meaning to "audience-buying." "Audience targeting" image from Shutterstock. Human beings are social creatures whose lives depend on other humans. We are born unable to care for ourselves. We develop and learn about the world around us through social interaction. Our connections to others are key not only our survival, but also to our happiness and the success of our careers. And with being social creatures comes the need to interact with others to reassure ourselves that we are liked, admired, respected and noticed. Then on April, 30th, 1993, it was announced that the World Wide Web would be free to everyone and the rest is history. Since then, the introduction of social network sites such as Facebook, Twitter and even AOL in the beginning, to name a few, has transformed the way we communicate. Along with the internet social media will probably go down as one of the major influencers of every generation since the Baby Boom generation and take its place as one of the wonders of modern time. Between 2000 and 2002 the number of users on the internet grew a staggering 566.4% Nowhere else nor at any time in history has there been a forum even close to the scale of the World Wide Web. According to Internet Live Stats (www.InternetLiveStats.com) by 2014 it is estimated that there will be close to 3,000,000,000 internet users globally representing around 40% of our population. With all this connectivity we are now being faced with the loss of our privacy being subjected to Government agencies and even Employers spying on us and collecting information. By putting it all out there for everyone to see one should expect and understand that they are relinquishing their right to privacy to a large extent. We use all this technology to interact with friends and family, to get the latest news and entertainment, and to research things we want to know about. It was only a matter of time before business saw the opportunities that Social Media offered. Business saw the opportunity that getting involved with social media would open up a huge potential resource. Social Media presented Business with ways to reach people in ways that were never possible with other forms of media. It allowed them to put a face to their business and to identify them in new ways. Today, social media and the need to understand it has become an essential part in the success of marketing for business. But this new social medium also comes with risks that if they are not socially responsible in their advertising and communications or have any kind of misstep the consequences could be very costly. It is all boils down how you use this knowledge to your advantage or disadvantage. We are influenced by, and we are able to influence people who we know as well as people we never met. We can influence others and gain recognition by posting blogs, getting involved in discussions, participate in forums and even help people by informing and educating them on any of the many sites available on the World wide Web. We need to look at what social networks hold our and our customers interests and the ones we will benefit from and decide if the people we are interacting with are the people we want to influence and want shaping our lives, careers and businesses. Social interaction can open doors to job or other opportunities. You can meet like-minded people and have discussions with people who can give you new perspectives. The possibilities for whatever we are looking for or want to accomplish socially are limitless. In the end, we need to gain the knowledge necessary and take responsibility for how we act and market socially on the internet and conduct our business because in the end the internet as a social whole will make the final judgment on how it reacts to, responds to and accepts what it is being disseminated. What Can We Learn From Events Like the World Cup? 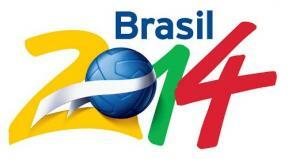 The World Cup an event that occurs once every four years is one of the greatest sporting competitions on earth. Large events like this are fun and entertaining but also give us a unique opportunity to study in “Real Time” how advertisers and businesses are leveraging their brands, where they are concentrating their efforts and across what medias they are having the greatest impact. Today’s technologies are playing an increasingly important role in the ratings for popular events. According to ESPN, during the World Cup's first three days, 65% of the audience viewed it via television only, while 24% of consumers combined viewing TV with other media platforms and 11% watched exclusively through a non-TV platform. Popular events and campaigns give us insight into which medias are dominating and the tremendous impact that the internet has today on how information is processed and shared. What we can learn from these popular events is how people are reacting to them via these media channels and what devices they are using which can help us in planning where and how to concentrate our own efforts in promoting our brand and content across these media channels. According to a Crowdtap poll of more than 850 men and women in May, the poll found that the Facebook at 65% and Twitter at 17.6% are by far the preferred social channels viewers use to share ads, updates and message about their favorite brands and teams to friends and family. “Although different platforms (Facebook, Twitter, LinkedIn, etc) work best for different activities. When it comes to fostering a community or organizing an event, Facebook is key. And nothing beats Twitter for "day of" promotion of your event.” Ritu Sharma Co-Founder and Executive Director of Social Media for Nonprofits. Also, Social Communities are redefining the customer experience and how businesses interact with their customer base by taking rewards programs, customer service and feedback to a whole new level. Onsite Social Communities shift customer support and service to being part of the brand marketing mix. *From which devices all of this communication and engagement is being received and shared. To shed some perspective on all this sharing, according to Nielsen’s latest Global Trust in Advertising report, which surveyed more than 28,000 Internet respondents in 56 countries, 92 percent of consumers around the world say they trust earned media, such as recommendations from friends and family, above all other forms of advertising—an increase of 18 percent since 2007. Online consumer reviews come in second as the most trusted source of brand information and messaging, with 70 percent of global consumers surveyed online indicating they trust messages on this platform, an increase of 15 percent in four years. Global events like these give us a unique opportunity to get a broad and current picture of where we might want to consider concentrating our marketing resources most effectively and the diverse and incredible ways all this technology is impacting our lives and the future of commerce. Assuming the net remains neutral, social media offers anyone the ability to be heard by hundreds -- even millions -- of people. It provides opportunity for a small nonprofit organization to be competitive with a major brand with huge marketing budget. When you harness that power through targeted campaigns, the results can be incredible. But even just understanding how social media works when it comes to spreading a message online can be enough, depending on how topical your message is. A little bit of creativity and timing can make a huge difference in amplifying your organization's reach and awareness. #YesAllWomen is a recent -- and powerful -- example of a well-timed hashtag giving voice to a larger concern. In response to the misogynistic killing rampage that happened in Isla Vista, California, the #YesAllWomen campaign "named a problem with no name" and gave voice to larger concern that resonates with a very large audience (probably just about half the human population, if not more). "We use it to campaign and spread the word about protests/stands-hashtags are invaluable in that respect, and to share news quickly and efficiently, with our own 140-char commentary on them, and subsequently have conversations with random people/complete strangers. But most importantly, it allows us to share on the ground info like police brutality, things to watch out for, activists getting arrested, etc. A certain class of activists are armed with smartphones, which allow them to live-tweet the protests"
But what if your cause isn't as politically or emotionally charged -- and what if it isn't in about something that's in the news right now? Well, that's where understanding how to work social media comes in to play. Different platforms (Facebook, Twitter, LinkedIn, etc) work best for different activities. When it comes to fostering a community, organizing an event and reaching donors and volunteers consistently, Facebook is key. And if you want to encourage in-depth conversations with other professionals (and potential donors) around your cause, as well as volunteers, a LinkedIn presence is essential. And nothing beats Twitter for "day of" promotion of your event. Seeing it in action helps. 24-hour giving campaigns have proven time and again that creating well-organized efforts offers BIG rewards. And there are many options to consider: regional, cause-specific, competitive, collaborative and even 48-hour options. The one thing they have in common are success metrics. Let's say your nonprofit isn't ready for a 24-hour campaign or wants to start out on a smaller, more manageable scale - that works too. "YouTube has featured me on their homepage. 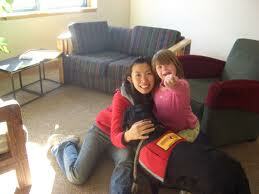 I was the first non-profit cause to speak at Twitter Inc. Google blogged about me a few times. I won a special Pepsi Refresh award at SXSW (South by Southwest) getting over 30,000 votes. The Canadian Government has commissioned me to travel to 24 cities and helpthem fight homelessness. I've had the chance to work with major brands such as General Motors, Hanes, British Airways, Murphy Oil, and Virgin Mobile to help connect them to an unsexy cause called homelessness." Another effort, similarly named but very differently directed, that has found a voice thanks to social media is Invisible Children. They create films to document LRA (Lord's Resistance Army) atrocities and mobilize massive groups of people to help put an end to these atrocities. And their activist participation consistently numbers in the millions, thanks to highly organized mobilization efforts relying largely on social media marketing. It's amazing. Traditional advertising is expensive. Consider this: an ad on a Super Bowl commercial costs millions of dollars, but a quick-moving social media manager can take advantage of Super Bowl trends on Twitter and achieve comparable exposure for free (or the cost to promote a tweet, which is variable and an option for some folks with a budget to spend -- but certainly not necessary). And even buying ad space from popular publishing platforms can take a toll. But social media is FREE when you activate your community and volunteers. Activate how? Ask them to participate on your various pages in a meaningful way; one that helps advance the conversation. And beyond that, Facebook advertising offers extremely low cost options (as low as $1.00 per day) to reach your target audience. And its targeting offerings are fairly robust -- and expanding day by day. Again, wild success stories happen all the time, and all because folks now how to use social media and plug away at it consistently. 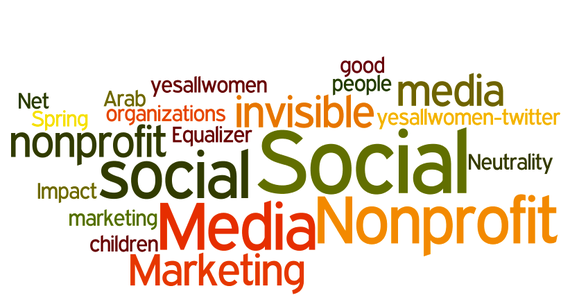 Can you really afford to NOT set aside a few hours to dig in to these options and sort out a few possibilities for your nonprofit when such massive returns aren't only possible -- but probable? I had the pleasure of participating on a panel with Mel Carson of Delightful Communications at ClickZ Live Toronto. The session, Hand in Hand: Combining Social and Content to Earn Visibility and $, focused on how marketers can meld social and content to drive visibility and ROI. Preparing for the talk got me thinking about the "paid" vs. "earned" media challenge. That is, the ongoing tension for marketers between investing in paid vs. earned media. Paid media may produce a more rapid return than earned media. However, like Sisyphus, the Greek tragic who pushed a boulder uphill only to have it repeatedly roll back down, it also requires a continued deposit of funds to continue functioning. On the earned side, the returns can be many multiples that of paid, but it does require more rigor than depositing coins in the AdWords or Twitter ad machine. For many marketers this tension – do I invest in the immediate ROI paid offers or make the longer term commitment but greater return earned media offers--is both an ongoing one, and one that spans channels, vexing marketers across search and social channels alike. In my part of the session, I explored the paid vs. earned media question as it relates to social, and I want to recap some of the findings here. But, before exploring the paid vs. earned media question, any question of which of the two to invest in on social must be preceded by a discussion of the degree to which social has impacted consumer behavior. Understanding this will inform us as to the size of the opportunity for marketers, and the degree to which they should be giving mindshare to the channel. Even accounting for the fact that Google has rolled Gmail and YouTube users into their Google+ user count, the total number of social network users is greater than the population of every individual continent but one. Facebook has become so globally pervasive that analysts talk about it approaching a saturation point for the worldwide addressable market of users with social capable phones. You might be thinking "that's the market size, that doesn't tell us how users do or do not use social networks." Research from Forrester tells us that social networks have become a critical discovery platform and is now the second most popular channel for website discovery, behind only organic search. The above tells us that social has become a critical website/content discovery method for users. But, the extent to which it has impacted consumer consumption habits was illustrated in a recently leaked New York Times internal report (hence the poor image quality below). The report showed the dramatic decline in visitors to their home page (nytimes.com, not the site overall) over time. The reason for the decline is due, in large part, to how social has changed our content consumption behaviors. Pre-social's influence, we navigated directly to our favorite content site's home page and clicked into content from there. Now, specific content pieces are discovered on our social networks, and this has the effect of driving visitors to specific pieces of content rather than the home page. Social has changed content consumption dynamics and it has also contributed to changes in how we consume news. Pew Research data shows consumer news consumption has shifted from checking news at regular times to getting news "from time to time". The data is clear about the opportunity for marketers in social: market size is calculated in the billions and at least when it comes to content consumption, it has fundamentally changed online behaviors. Conversations are happening on social networks and brands need to be a part of them. Now that we have established the size of the opportunity, let's return to the paid vs. earned media question. The lion's share of social opportunity is in social's organic channels. Users are clicking on content links in the organic social activity; they are interfacing with brands in organic, and they can evennow make purchases there. Worse yet for those overly invested in paid media, not only is all the activity taking place in organic social media, increasingly, consumers outright don't trust (or don'tsee what's happening in advertisements. The opportunity to reach your customers on social networks is enormous. What should Marketers who are overly dependent on paid media in social do to break their dependence and reach users where they are more engaged? Start by taking the following steps. Content and social media are intertwined. To reach consumers on social media start by reviewing your content strategy. Ask yourself if you are developing content users would find interesting/useful/funny – in other words, engaging. If the answer is no, develop a content plan that will allow you to emphatically answer "yes!" to that question. And, consider devoting part of your editorial calendar to content that lends itself to social sharing and engagement such as video. Your social strategy will naturally follow a sweet content plan. To start to diversify beyond paid media, you'll need to figure out what conversations your audience is having that you should be a part of organically. Keyword research you have already done for search will help, as will a careful review of question sites like Quora. Like competitive analysis in search, which can reveal a great deal about competitors" strategy, careful analysis of the social conversations in which competitors are involved can reveal a great deal about both the what and the how of their social strategies. It's a simple way to see what conversations they deem important. The way they engage in these conversations (voice, tactics...) will tell you how they do so. This can spark ideas for how you can start to engage with your audience. To be sure, paid social media has a place in the marketer's toolbox. And, there is no one-size-fits-all strategy, marketers must evaluate the right mix for themselves based on their vertical, budget, and a host of other factors. But, given the growing consumer inattention and mistrust of paid media, you would be well served to step back from the day to day to ask yourself if you're at all uncomfortable with the degree to which you are dependent on paid media on your social networks. If the answer is "yes", consider starting with some of the strategies outlined above to join the conversations on social networks where they are happening: in organic social media. By Nathan Safran Director of Research for Conductor, Inc.
Polling is one of the most powerful tools brands can incorporate into a social strategy. Below are a few reasons why you should consider incorporating polling into your next marketing campaign. The five key points are followed by a few recommendations for tools to use for polling. Brands often pay a lot of money to have outside services and companies survey customers to get product feedback. Others use social listening tools to see what people are saying about their products. Why not be more direct and just ask the customers on a social media channel? If a person has followed your brand on a social network, there's a good chance that they think very highly of your brand. These are the people that are going to provide some of the most honest and lengthy feedback, and they will gladly do it for free. Polling on social channels will improve your product and site by helping you identify shortcomings to fix. Soliciting opinions in real-time can help you better understand the community and the types of things they enjoy. Polling provides deep insight into your readers and customers, and it can improve the development of marketing and advertising campaigns. Are your customers fans of the World Cup? Then maybe we should run a campaign that has a soccer theme. Do your customers like Apple more than Samsung? Then maybe we should develop our app on iOS before Android. Porter Haney, CEO of social polling company Wedgies, says that polls are a "unique way" to spark conversation and engagement. Polling shows your customers that the communication channel isn't a one-way street, and it invites them to join the fun. Seeking input from the community also tells them that you are listening and that you want to make your products and websites better. Broadcasting the results demonstrates that you want the world to know what your community thinks about a certain topic. Also, if the product feedback is used to build a better site/product, customers will be happy. Doesn't everyone want happy customers to tell friends about their amazing community and product? Another beauty of social media polling is that it creates two pieces of content. The first is the actual poll itself, and the second is when you showcase the results. Imagine if every article you wrote multiplied into two articles. That's what polls can do. By having two pieces of content from one poll and encouraging users to share the poll, you might also experience an increase in traffic to your blog. Porter Haney says that social polling is a "really good way for marketers to drive extra traffic." He mentions that "the flow (on average) is something like this: 20 percent of readers vote on the poll, 15 percent of those voters share the poll, resulting in a 2-3 percent share rate of the page." Each of the social shares incrementally increases the traffic to the page, so you could end up with a 20 percent boost in traffic to a page with a poll. Polling is a great way to get product feedback, gain a deep understanding of customers and community in real-time, build a community, generate content, and boost traffic. Before you start implementing polling, what tools should you use? The easiest way to do social polling is simply posting an open or closed-ended question to Facebook or Twitter. This is free to do, but it can sometimes be hard to curate a large set of responses and have users share the results. POLL: The POLL app works well within Facebook, and it's great for sharing results. It's free to use, but the non-ad version will cost a small fee. Wedgies: Wedgies is a beautiful and interactive polling tool that can be embedded into a blog or Tumblr post. The poll and the results "cards" make for a fun and shareable piece of content. Wedgies works best for close-ended questions, but it also helps spark discussion within the comments section of a blog posts. It's relatively inexpensive, and it can be seen in action on sites like Engadget or Joystiq (full disclosure: I work for AOL, which owns Engadget and Joystiq). Poptip: Another great polling tool that's being used by E! Online and the NHL is Poptip. If you want to use open-ended questions, Poptip does a great job organizing the unstructured conversation into more formal categories. Similar to Wedgies, Poptip also has a shareable "results card." Which customers are most profitable for you and what marketing tactics work best to attract them and encourage customer loyalty? In a recent survey, Huzzah Media found there’s a big gap between what marketing methods small business owners use and the ones they’d like to use if money were no object. By far the top way small business owners engage with customers is their websites, cited by more than 80 percent of entrepreneurs. Next is the Yellow Pages, cited by more than 65 percent, followed by social media, used by nearly 55 percent. Attracting new customers means nothing, of course, if they don’t buy anything, so the study also asked small business owners where most of their sales come from. Repeat customers were by far the biggest source of revenue for more than 43 percent of entrepreneurs, while new customers accounted for about 19 percent of revenues. Interestingly, “word-of-mouth” was cited by 36.39 percent. In other words, new customers driven by existing customers’ recommendations are the second-biggest source of revenue—more than new customers who come to a business from other sources. Along the same lines, when asked what marketing method is most successful for them, a whopping 52.22 percent of small business owners cited “friend referrals.” In comparison, just 33.23 percent say advertising is their most effective marketing method. Clearly, most small business owners have a baseline online presence (that is, a website), and most are also using social media (although there’s definitely room for improvement there). But few are taking their online presence to the next level by using tools such as customer loyalty programs and mobile apps to their fullest extent. These can be great ways to increase word-of-mouth, retain existing customers and drive new ones. Small business owners in the study are clearly aware that mobility is the hottest trend going right now. If they had the budget and time to make a change, more than 40 percent would like to add a mobile ad campaign while 21 percent would optimize their websites for mobile use. In reality, optimizing your website for mobile users doesn’t have to be costly. Finally, consider adding a loyalty program of some kind. With so much of the average small business’s revenue dependent on existing customers, it only makes sense to reach out to your customer base with rewards. There are more options than ever before for loyalty programs, from simple punch cards to sophisticated (yet affordable) mobile apps that make it easy to track customers’ shopping habits. Using your own social channel (community) on your website to connect with your offsite social channels can make for a winning social media marketing strategy. Not only can it provide a multitude of benefits that cannot be realized through any other marketing initiative, you will not be subject or impacted as much by the constant flux of other's changing marketing policies and popularity. There is no more transparent way of connecting with your customers and employees than having an onsite social network. An onsite social network allows you to partner with your customers and employees to bolster your marketing initiatives and project your customer and employee centric culture across all your social channels. By building your own brand community of fans and followers you will have a central location with an organic reach of 100 percent on your real estate with which to form lasting relationships and a community of fans and followers who can help you broadcast your message organically across the internet. Although it is important to maintain a presence on other social networks an onsite social network gives you the opportunity to market better, smarter, more economically and more secure. Your onsite community provides the means for Socialcasting of which community plays a key role that in its many forms can boost page ranking and drive traffic in ways that no other form of media can. This can provide a base from which to launch all of your marketing efforts to positively impact your overall marketing efforts. Technology is constantly providing us with new and creative ways of centralizing our marketing to make it more efficient and cost effective. By taking advantage of your existing customer and employee base you can easily and cost effectively have a powerful platform of brand advocates from which to build on. New customers can automatically become members of the community as part of the benefit of doing business with your company and site visitors can be invited to join to enjoy member benefits as a way of nurturing new business. Give community members discounts on extended warranties, maintenance Contracts and/or Services and provide drawings and special offer to keep them engaged and you will have an army of devoted customers who will help you broadcast your customer centric culture and drive more traffic to draw many more devoted customers to your business. All of this will have many positive effects including bolstering your SERP and feed on itself to give you a platform from which to launch all your marketing initiatives.